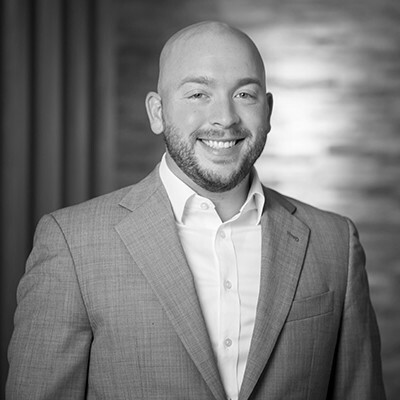 As an employee benefits consultant with Marsh & McLennan Agency, Patrick takes a strategic partnership approach as he looks to first research and understand the business so that the resources and solutions are deployed in direct alignment with his client’s culture, mission, vision and values. In doing so, Patrick and his team are able to develop long-term strategies focused on maximizing investment in the benefits and total rewards program through data-driven analysis, innovative cost containment solutions, and strategic deployment of our HR, compliance, and wellbeing-focused resources. Patrick strives to connect people and resources to help them protect what is most important: health, family and financial security. Ultimately, Patrick feels success when his clients view the MMA team as a trusted business partner, providing meaningful solutions that help the organization achieve objectives or overcome challenges. Prior to joining MMA, Patrick worked with a diverse clientele, from a sole-proprietor to large, publicly traded Fortune 500 companies. He enjoys working for MMA because of its dedication to the community, innovative leadership, and market-leading resources. Patrick is involved in a variety of associations including: Medical Alley, Minnesota High Tech Association, the Association of Legal Administrators, American Council of Engineering, and the MN Trucking Ascociation.